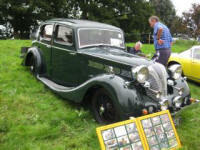 The Lions Club of Winslow in co-operation with the Winslow Show Association are holding the 'Wheels in Winslow' vehicle display. Again this year, we are proud to have as our main sponsor - KGB Car Body Repairs and Restorations based in Winslow. 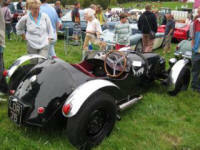 A display of 'Vehicles'... these can be Vintage, Classic, Modern, Agricultural, two, four or even three wheels. If you're proud of it ..... bring it along! All of the funds raised from this event will go to the Berks, Oxon and Bucks Air Ambulance appeal. We hope to have a few 'prizes' but mainly this is an opportunity to bring your 'Pride and Joy' for others to enjoy and allow you (and friends) to also sample the delight of a good old fashioned Country Show. The entrance will be off the main route to the Main Car Park and will be manned by Stewards to direct you to the correct parking area. Simply ﻿Download the Application Form ﻿and attach the top half of Page 1 to the windscreen of your vehicle (if you have one!) and you will be directed to the 'Wheels in Winslow' Parking Area. 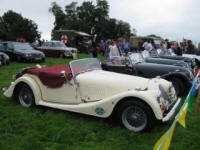 A fee of £ 5 per vehicle will be paid on entrance to the Wheels in Winslow Display Area (you should be waved through the Main Entrance if displaying the Pass) and this will allow the driver and a passenger access to all the delights of the Winslow Show for the day. Please complete the lower half of Page 1 and use this to display on your vehicle for those less knowledgable to identify your vehicle (together with any other information of interest). 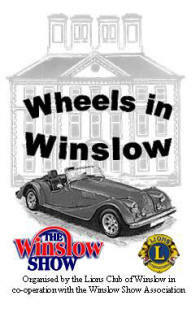 Complete Page 2 and hand it to the 'Wheels in Winslow' Marshalls for our information.